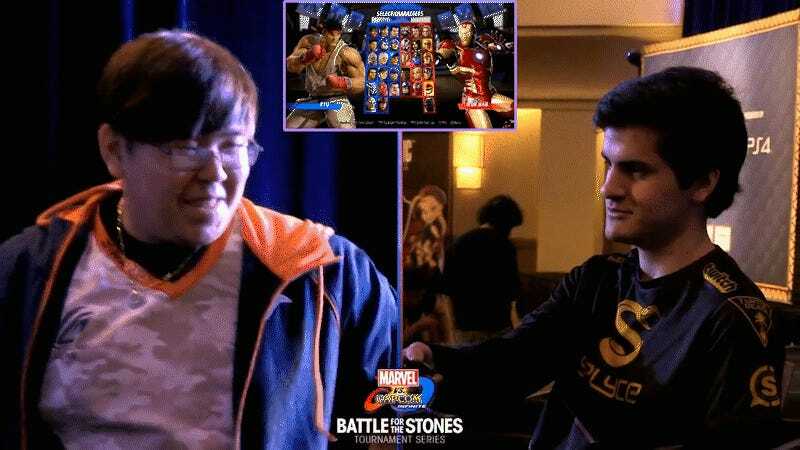 This weekend’s Battle For The Stones allowed players who had won past Marvel vs.Capcom: Infinite tournaments to activate “infinity gems.” In the case of Justin Wong, this meant the right to change his opponent’s controls before a game. The Reality Stone lets the bearer change three buttons on their opponent’s controller for a single match. This is a special mechanic, just for the Battle Of The Stones, as a way to spice up the action. 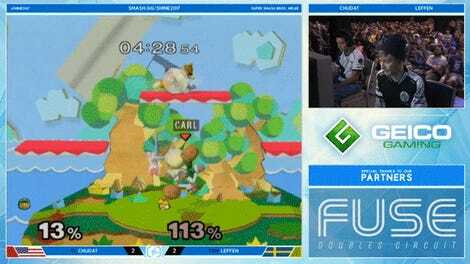 Six players came in with a variety of stone powers, like changing their spot in the bracket or forcing someone to give their opponent the first hit of the match. Not only would this control swap mess with Romero’s muscle memory, but it would set him back a bit too, as the first match would likely be a guaranteed loss. Romero was visibly frustrated, but he played on. Romero managed to endure, and closed the set out at 3-2 over Wong after getting to set his controls back to normal. Both laughed about it after the fact as well. It’s a tournament with some silly rules! Might as well enjoy it rather than get salty about it. Wong would fall later in the bracket at the loser’s quarterfinals, while Romero’s eliminations came from the two competitors set to take the stage on Sunday, Cloud805 and NyChrisG. All the action will be going down at this weekend’s PlayStation Experience in Anaheim, CA.